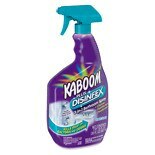 Shop Kaboom Plus Disinfectant 3 In 1 Bathroom Spray (30 oz. )30 oz. 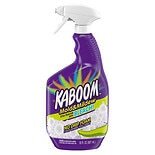 Shop Kaboom Foam-Tastic Color Changing Bathroom Cleaner (19 oz. )19 oz. $629$6 and 29 cents$0.33 / oz. $629$6 and 29 cents$0.20 / oz. 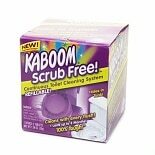 Shop Kaboom Scrub Free! 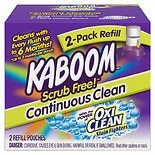 Continuous Toilet Cleaning System (1.38 oz. 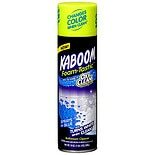 )1.38 oz. $1099$10 and 99 cents$7.96 / oz.